A while ago I made the Peanut Butter Banana Icebox Pie, it was delicious! I took the same recipe, removed the bananas and added crushed Reeses Peanut Butter Cups. Talk about divine!!! 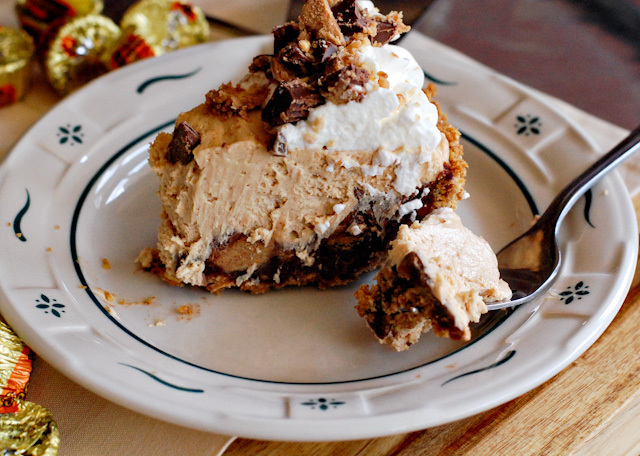 I took this pie to a party and everyone eyed it with anticipation - it is a very rich, and creamy icebox pie. YUMMMM! 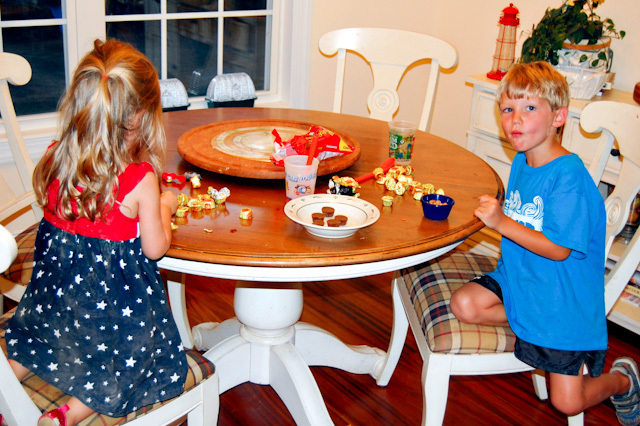 do you see that Reeses Peanut Butter cup! 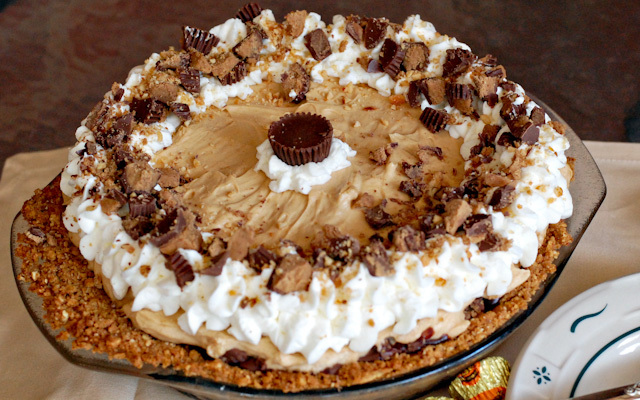 What other combinations should I try with the Peanut Butter Icebox Pie?